Mullet Haircut Photos & Tips: Funny Graphic: Ride The Mullet! Mullet a.k.a. Kentucky waterfall. 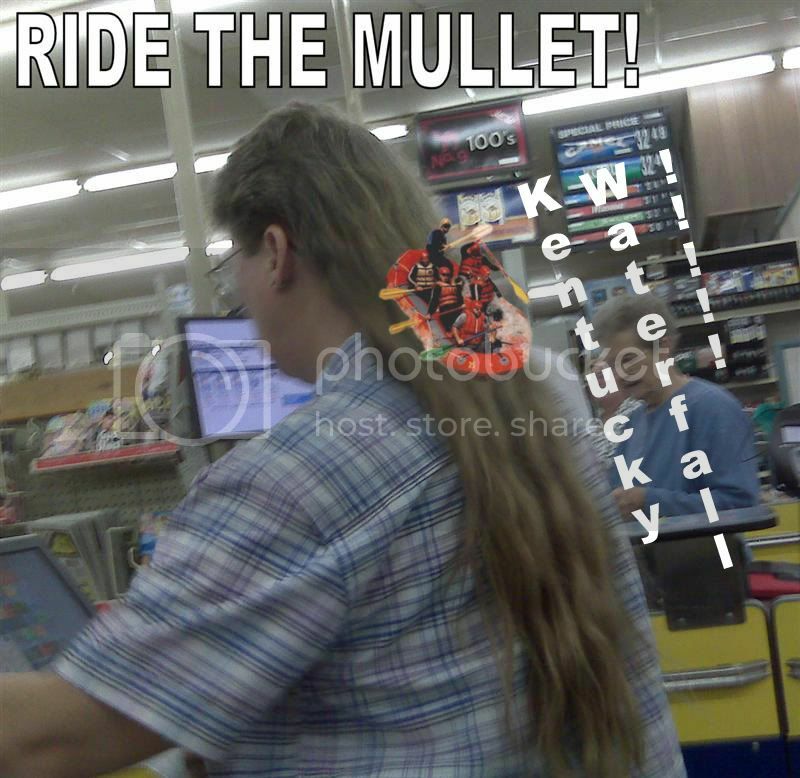 So, ride the mullet!